I hate this feeling. This vague sense of loss, abandonment and loneliness that washes over me when a show like this ends. A show that has its flaws, can be stupid and infuriating at times, but is enjoyable more often than not. And has characters that, after a few years, I feel attached to. They form a family, and some voyeuristic part of me likes to watch. Share their ups and downs, squabbles and happy moments. I don't understand that completely, but I guess it's a credit to the actors and writers. They manage to create people you want to be friends with. And that's why I get that uncomfortable feeling. 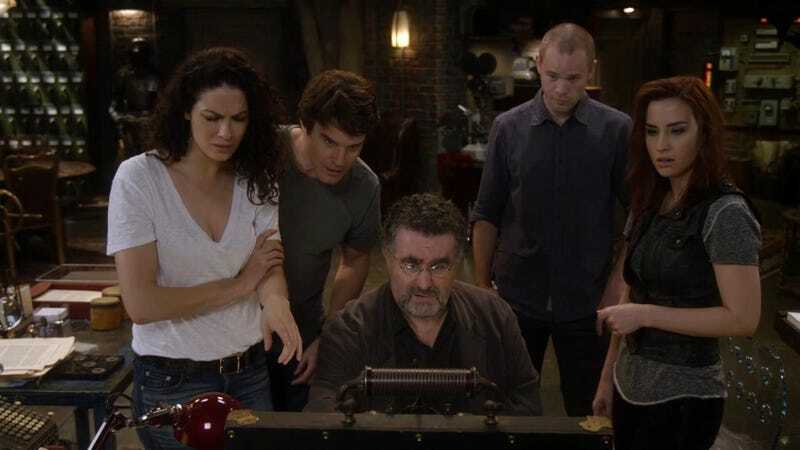 Warehouse 13 was not a perfect show. It had cheesy, contrived plots, cheap VFX, and the final episodes did a lot of things I didn't like (you know what I'm talking about). But still, those characters were so enjoyable to watch, even despite the last minute turns and reveals. And I will miss them. Just like I miss the SG-1 team. Or Shepard, Rodney, Teyla and Ronon. Or Veronica, Keith, Weevil, Wallace, Logan. The crew of the Moya. Chuck and Sarah. The crew of Serenity. Ted, Robin and company. The Avatar Gang. And more.